I’ve written two books so far to help authors promote their books, and will be writing more in future as part of my work for the Alliance of Independent Authors. SilverWood Books commissioned this book to help its own clients market their books more effectively. It’s now helping authors of all kinds all over the world to do what it says on the cover. It’s a very easy-to-follow, friendly and supportive guide to help new authors build their book promotion skills and confidence on a minimal marketing budget. 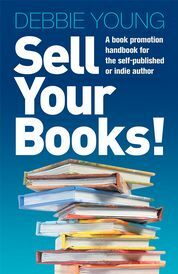 Find out more about Sell Your Books! here. Read its fabulous reviews here. 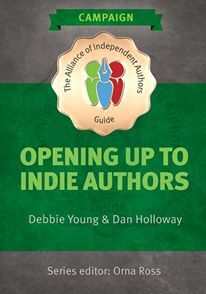 I also co-author books for the Alliance of Independent Authors, and the first of these will help you view book marketing from the other side of the fence – from the viewpoint of those who are crucial to your success, such as book retailers, librarians and festival organisers. If you’re a member of the Alliance of Independent Authors, a free download of this and its other handbooks is one of the many benefits. (Find out more about joining ALLi here.) Alternatively you can buy it from any ebook retailer. A paperback edition is also available to order online and from all good bookstores. Read more about Opening Up To Indie Authors on the ALLi website here.